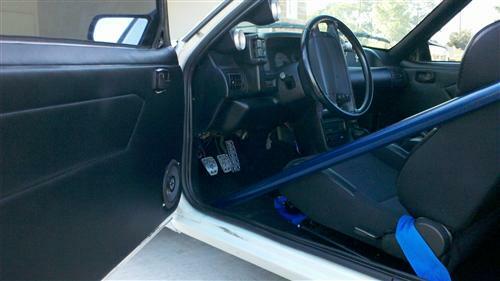 We no longer carry the 1987-93 Mustang Door Panels Black. 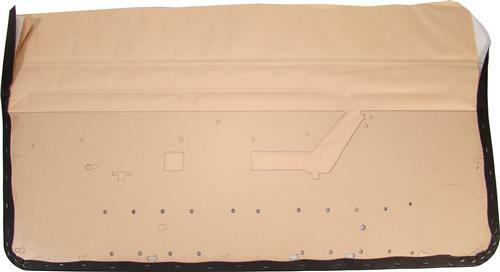 Check out 1979-1993 Mustang Door Panel Carpet for an updated selection. 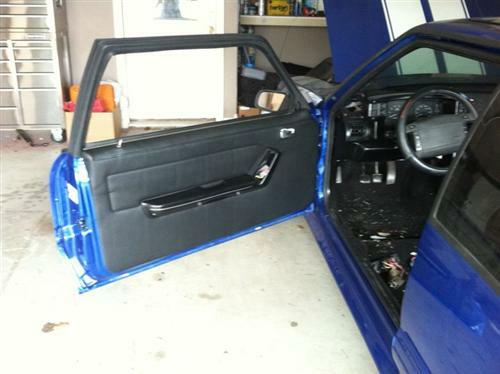 These door panels are made for the do-it-yourself Mustang enthusiast. Assembly IS required and many parts from your old door panels will need to be saved to re-install on this new set. 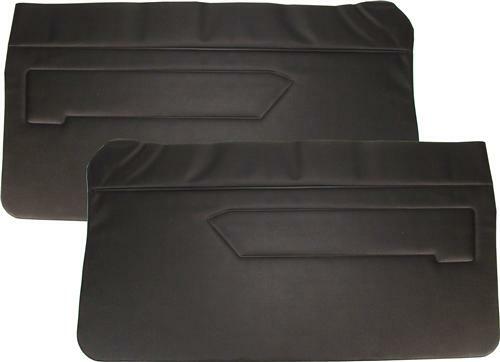 Door panels for your Fox body Mustang are finally available. Kits include two door panels wrapped in vinyl material. To ease installation, don't forget to order our door panel installation kit. These door panels are made from 1/8" high-density-fiberboard (hardboard) covered with factory style vinyl with a layer of cotton padding and paper moisture barrier in between. The hardboard is precision cut for a perfect fit in your Mustang. The design of this door panel is such that non-required components can be installed AT WILL. 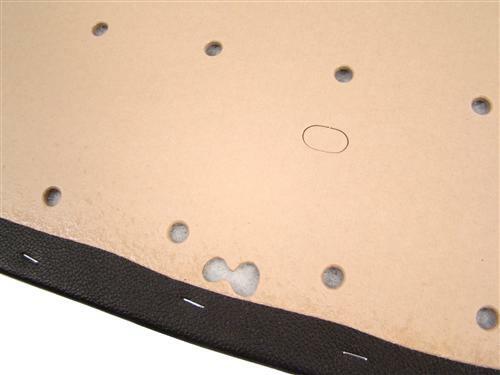 For instance, if you don't want to install the worn out map pockets from your old door panels, you don't have to! The vinyl covering is solid, with no cut outs so leaving off the map pockets or even the door speakers is perfectly OK! Are These Mustang Door Panels Right For You? Question 1: Does your Mustang have an existing set of door panels? If your Mustang does not already have door panels these door panels are NOT for you. Almost every piece of the old Mustang door panel with the exception of the board and the vinyl will need to be re-used. If your Mustang does not have door panels you should look into a set of our "deluxe" door panels. Question 2: Do you consider yourself a do-it-yourselfer OR do you have a local upholstery shop that you can do the installation for you? When you purchase these door panels assembly IS required and if you don't feel comfortable doing the installation yourself you should find a local upholstery shop that can handle this type of work. If you said yes to these two questions you are the perfect candidate for this set of Mustang door panels! In this video, Jmac will show you how to replace your Fox Body Mustang Speaker Grilles. The 5.0Resto 1987-93 Mustang Door Speaker grilles are located at the lower front of each door. Because of where they are located, they typically get kicked when you enter and exit your Mustang. If your Foxbody Mustang speaker grilles are pulling away from your door panel, it is likely that the retaining tabs have broken off. The proper way to remedy the problem is to replace the speaker grille. The LatemodelRestoration.com Mustang Speaker Grill install kits include everything you need for a seamless install. Finish off your Project Fox Body Mustang interior with a set of 5.0Resto Mustang speaker grilles. With same day free shipping, LatemodelRestoration.com with help you get your Project Foxbody Mustang looking and running good in no time!